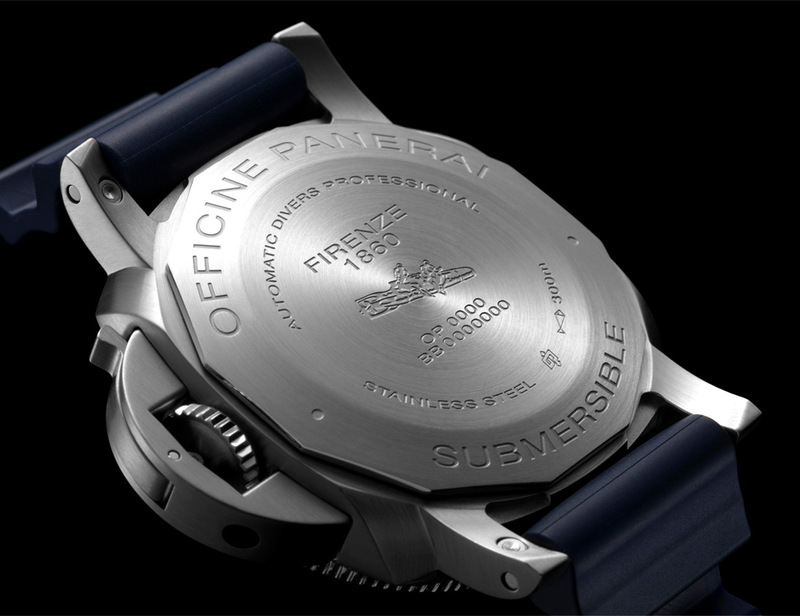 Released in 2016, the introduction of the smaller Panerai Submersible 682 was a welcome one for dive watch fans who loved the striking, minimalist aesthetic of Panerai’s burly flagship titanium diver PAM1389 but couldn’t quite handle its 47mm proportions. But for two years, that black dial with the solid stainless steel bezel remained the lone option available in steel in the smaller size – until now. 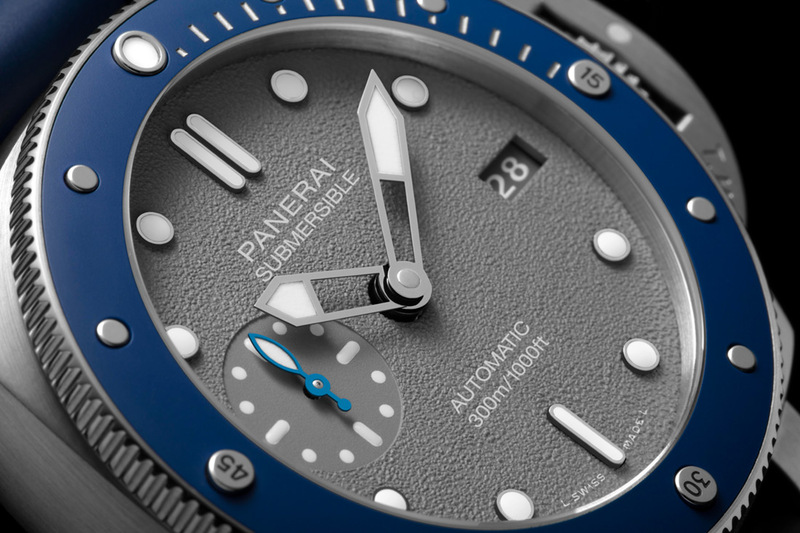 New for SIHH 2019, Panerai has introduced two new long-awaited 42mm Submersible references with ceramic rotating bezels. One of them looks a bit like a 1389 that’s been hit with a shrink ray and a few strokes of a blue paint brush, but the other is a handsome new-for-2019 “shark grey” colorway with a navy blue ceramic bezel that mimics the livery of the recently announced PAM 982 Submersible chronograph designed in collaboration with Panerai ambassador and freedive world champion Guillaume Nery. Personally, I always liked the 682 but as a general rule, tend to avoid stainless steel bezels, preferring instead something a little sportier, with a touch more visual contrast. 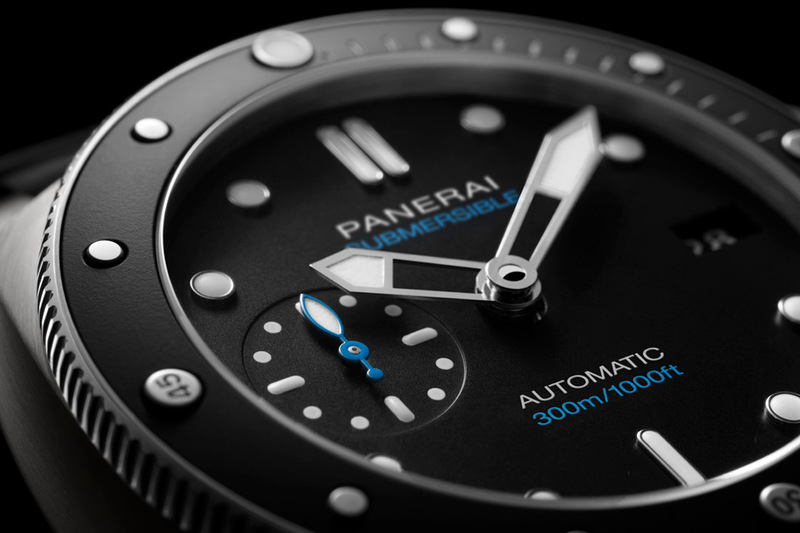 Panerai’s ceramic bezel design is particularly interesting, as the slightly raised steel five-minute markers provide a uniquely textured element to what’s usually an entirely flat ceramic surface. So for those (myself included) who’ve been waiting for a properly classic but more wearable 1389, the 683 is certainly to please. Similarly, the 959 should be a hit for those who loved the mottled “shark grey” dial and the new ceramic bezel of the recently announced 982 flyback chronograph, but also couldn’t stomach its 47mm case or eye-watering $20,000 price tag. 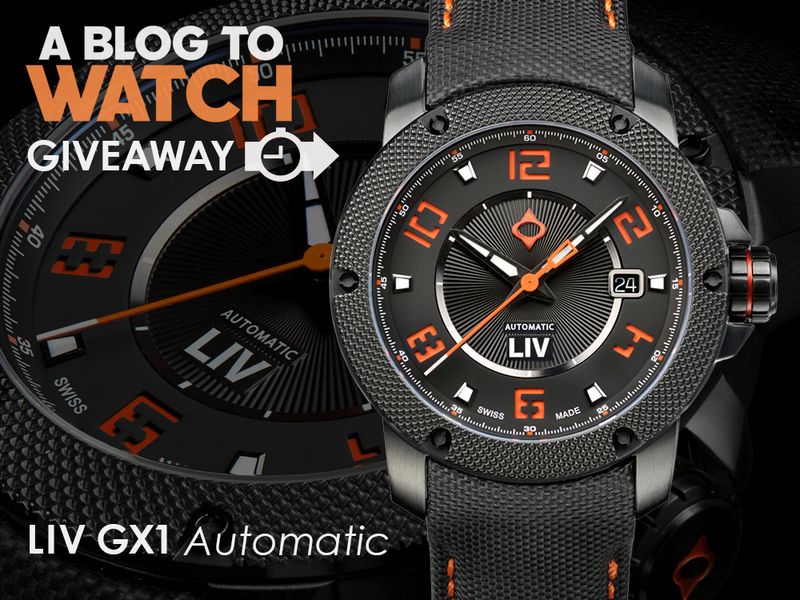 Neither of these watches are formally considered “limited editions” either, and should be readily available once they make their way into boutiques. Inside both watches beats the same movement as the current 682 (a Panerai-manufactured P.9000-series automatic movement with three days of power reserve), but with what appears to be a new naming convention – this particular calibre is being referred to as “XXXIV.” Once in the booth at SIHH, we’ll be sure to chat with the team at Panerai to learn more about this use of Roman numerals. Otherwise, the chronometric performance and specifications appear to be entirely identical – and in a stylistic trend used by other Panerai watches, the running seconds hand at 9:00 is finished with light blue paint to delineate an in-house produced calibre. Matching its black dial, the 683 reference comes with a black date disc, while the new 959 reference comes with a nicely color-matched grey date disc to complement the shark grey dial. Both watches are fitted with Panerai’s excellent 22mm accordion rubber dive strap to match their respective bezels – the 683 in black, and the 959 in blue. 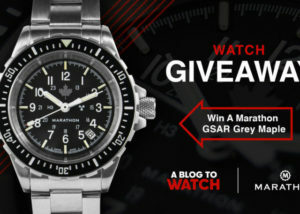 Grey dial is super cool and will be a lot more affordable than the limited chrono that already came out. 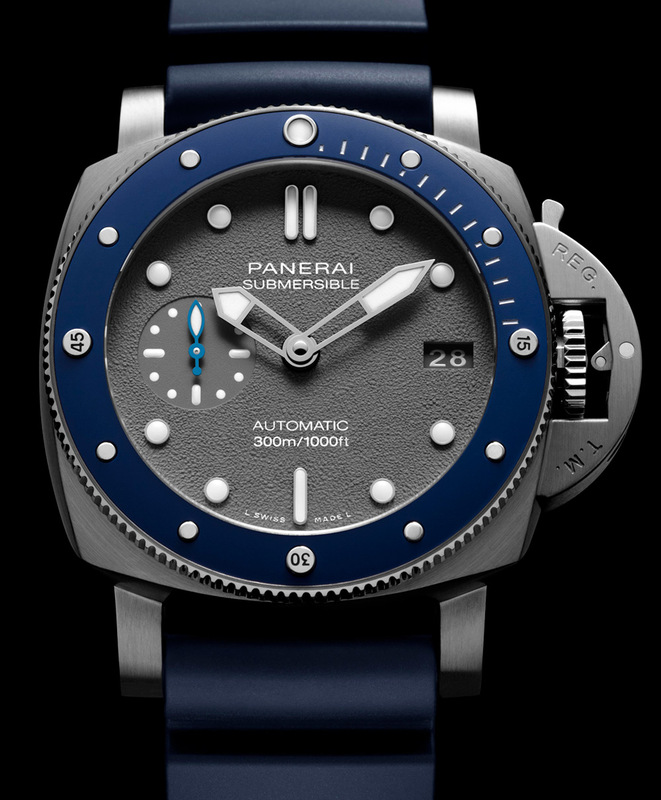 Only gripe for me is I would prefer a middle ground size of 44 like the lion share of Panerai models. I appreciate that the many want the smaller case for small wrists but for me 44 is the goldilocks size. 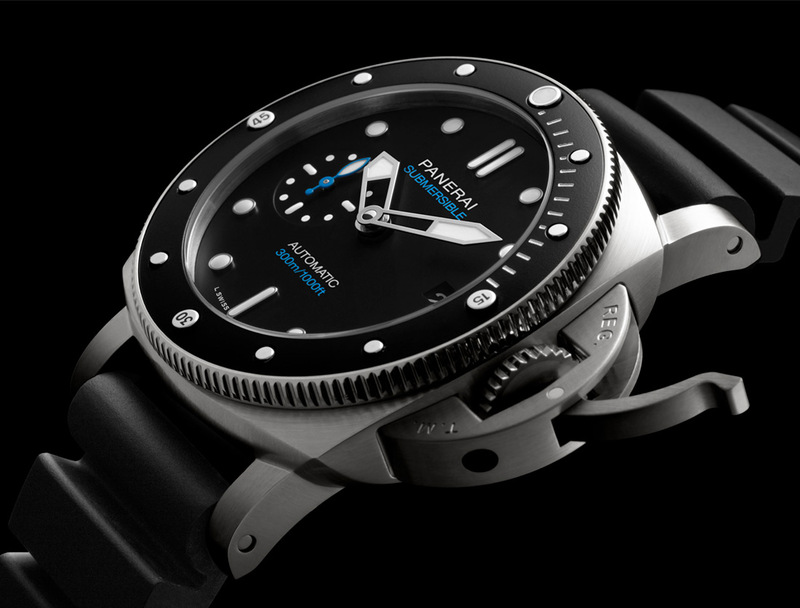 I’ve always liked the submersible design but struggled with the size so having more 42mm options is welcome. These look great.